Sergey Sobyanin has supported the idea of The Ministry of Economic Development and Trade to simplify the Visa formalities for foreign tourists. 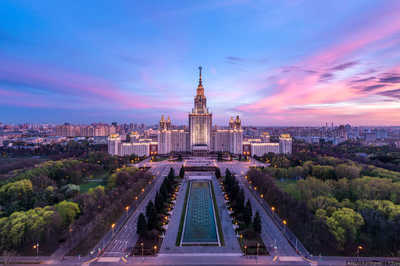 On 8th of October, he has written in Twitter that recently there has been a discussion that Moscow receives big revenues from tourism, and it has a huge potential. This is especially noticeable after the FIFA World Cup, which took place in the Russian cities, including Moscow. During the event, tourists have acknowledged the beauty, cleanliness, and safety of Moscow. On 6th of October, it has become known that Moscow has received the World Festival & Event City Award IFEA 2018. The FIFA World Cup has been held in 11 Russian cities starting from 14th of June till 15th of July. During this time, Moscow has been visited by 4.5 million tourists. The majority of guests have arrived from China, the United States, Germany, Netherlands, and France. The most popular venue during the Festive events became the FIFA Fan Festival at the Sparrow Hills. It has hosted 1.9 million fans, who were primarily from Mexico, Brazil, Argentina, Equador, and Peru. Among other popular places have been the Red Square and the Zaryadye Park, Nikol'skaya and Tverskaya streets.